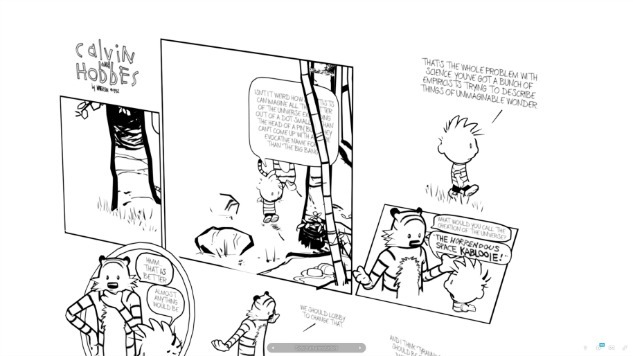 Digital artist Gabriel de Laubier has turned a Calvin and Hobbes strip into a beautiful 3D model with stunning, immersive detail. Each panel has become a window into the comic’s world. Laubier managed the balancing act of giving the world depth while still maintaining the flat, comic aesthetic. This strip originally came out on May 5, 1991. We highly recommend playing around with the model, which you’ll find here. Hit the play button, and you can then right-click and hold to change your perspective, and left-click and hold to move the world while pinching zooms in or out.